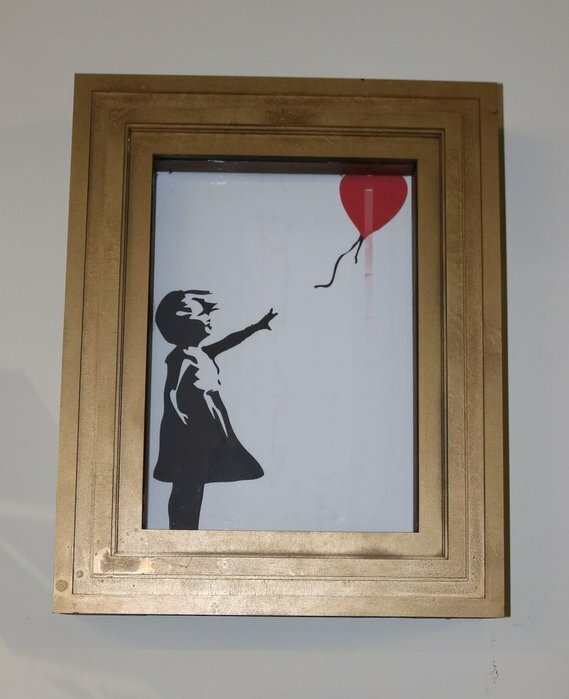 When the Balloon Girl self-shredded itself after hitting a 1.4 million dollars, our inner makers started analyzing how it’s done. The first was that blades were fixed on the base of the frame and two wheels held the painting in place and when they turned the painting would move over the blades and shred itself. The second was that there was an actual paper shredder in the bottom of the painting, which would make sense giving how perfect the slices were for the actual painting and how big the frame was. We decided to go with the first option. How Accurate are 3D Printed Dental Models? 3D printing and scanning technologies are digitizing dentistry. Instead of the old-fashioned way of taking impressions for things like braces and retainers, which would involve subjecting a patient to biting down on a mouthful of foul-tasting goo, more and more dentists and orthodontists are scanning their patients’ dental anatomy instead. Those scans are then used to 3D print dental models. This is not only easier on the patient, but it’s faster. While many dental offices are sending their digital files to laboratories to have them 3D printed, there is also a growing number of offices that have their own 3D printers, meaning that they can instantly print out the models while patients wait. Those two types of 3D printing techniques were digital light processing (DLP) and PolyJet. For the study, the researchers took both digital and traditional alginate impressions from 30 patients. The digital impressions were used to 3D print models using both DLP and PolyJet printing techniques, and the alginate impressions were poured in stone. Measurements for the three model types (digital, DLP and Polyjet) were compared with the stone models. Tooth measurements (first molar to first molar) included mesiodistal (crown width) and incisal/occlusal-gingival (crown height). Arch measurements included arch depth and intercanine and intermolar widths. Intraobserver reliability of the repeated measurement error was assessed using intraclass correlation coefficients. The researchers conclude, therefore, that digital impressions and 3D printed models are perfectly viable for clinical applications. This isn’t a surprising conclusion; the accuracy and precision of scanning technology and 3D printing has been heralded by many. This study, however, gives scientific backing to the many claims that are out there. This should encourage many dental professionals that may be hesitant about turning to 3D printing to give the technology a chance; their patients will likely greatly appreciate it, and the results will be just as effective – if not more so – than the less-comfortable traditional techniques. Authors of the paper include Gregory B. Brown, G. Fräns Currier, Onur Kadioglu and J. Peter Kierl. This January a new kind of 3D printing event will take place in Boston. Additive Manufacturing Strategies is a peer-driven small-scale event that will focus on 3D printing for medical and dental professionals. With such a tight focus you can come while being surrounded by people from your industry and your specialization. Speakers will also be specialized in either medical or dental 3D printing. You will be divided into two groups and surrounded by your peers the focus will be on learning. The Additive Manufacturing Strategies events are meant to let professionals delve deeper into using 3D printing for their businesses. When can 3D printing be used effectively? Where can it be used? In what cases can it not be used? Learning straight from the professionals is what the Additive Manufacturing Strategies events are all about. Additionally sponsors Trumpf will showcase their Metal Additive Manufacturing technologies for dental and medical applications. Structo will introduce its three dental 3D printers and dental resins specially made for the dental market. Additive Orthopaedics will give us a look at their hammertoe and bunion system as well as its wedge systems. Arfona will show us its desktop 3D printer for dental and special dental materials. Join your colleagues and other professionals taking the plunge into 3D printing. Register today to not miss the discount. “Umbilical digital” project is a kind of farm where special algorithm that runs on arduino board “cares about” digital nurslings – Japanese Tamagotchi toys that became in due time one of the first pet simulators. Viewing condition of every nursling, the system performs all the necessary manipulations to support “life” and “good spirit” of digital animals. Through simulation of pressing the buttons, the system behaves like an ideal careful host, and a pet exists as if it was nursed by a human. Looking at the behavior of “organisms”, the algorithm constantly learns and modifies itself. Stats of all processes in real time are shown on a small thermal printer that keeps “chronicle” of the farm that lets retrace the history of colony and its evolution. Chewing gum is a treat most of us have enjoyed since childhood with little thought to how it is made or what it is made of, but as so much is changing today due to progressive technology like 3D printing—those interested in making a variety of different edibles can have more creative control over both manufacturing and ingredients. More conventional extrusion processes have produced gum in the past, responsible for the typical shapes we are used to such as strips and small flattened rectangles, or delicious sugary cubes. Now, Wacker—an international manufacturer and supplier of materials—is opening up a new world of chewing gum production to everyone, with CAPIVA, offering a range of different applications for chewing gum that can be 3D printed. “Names, logos or lifelike miniature figurines… From now on, chewing gum can be formed in a variety of customizable shapes. WACKER has developed a novel product formulation specifically for printable gum, with software and hardware optimized for this sophisticated food matrix. This new technology prints gum in a wide range of colors, shapes and flavors – individually personalized,” states WACKER. As with so many new materials accompanying the world of 3D printing today, CAPIVA allows for more simplicity and speed in production, along with offering users and other manufacturers around the world the opportunity to make products that may not have been possible previously. The CAPIVA line offers everything from pre-mix to resins that enhance gum further—also meant to accompany Wacker’s other chewing gum resins like VINNAPAS, offered for over 60 years. The premix residue is easily removed from machinery and works with a variety of different molds such as starch powder, silicone, and different plastics. You can create an infinite number of shapes for your chewing gum, and the product can be used with most normal candy making machinery too. The products are also compatible with sugar-free processes as well as those that are water or fat based. There is much greater latitude available in the types of flavoring you can choose for your high-tech chewing gum too. In 3D printing such chewing gum products, amazing detail can be created as you can see in the video below featuring tiny elephant shapes being made—even allowing for the elephant’s trunk to be created in detail. The process is fascinating to watch, and like the rest of us, you may find yourself hankering for some gum to chew! You can find out more about WACKER here, along with reading about all their products and downloading detailed product sheets. What do you think of this news? Let us know your thoughts! Join the discussion of this and other 3D printing topics at 3DPrintBoard.com. Formnext, which is coming up next week, is always a setting for big announcements and product reveals. Last year, Polish company 3D Lab presented its first original machine – the ATO One, the first metal powder atomizer working in a laboratory standard. 3D Lab had been around for a decade but had until then been a service bureau and retailer of 3D Systems 3D printers, so the introduction of its first machine was a big deal. Since introducing the ATO One, 3D Lab has received several pre-orders and has spent the past year perfecting the machine, and now as this year’s formnext rolls around the company is preparing to unveil the final version of the product: the ATO Lab. According to 3D Lab, the ATO Lab is the first compact machine of its kind capable of atomizing small amounts of metal powders. It was designed for research on new materials, but has a number of other applications as well. Other metal atomizers on the market cost well over $1 million, but ATO Lab costs a fraction of this amount and can be easily installed in any office or laboratory. ATO Lab utilizes an ultrasonic atomization technology that allows for spherical particles with a diameter of 20 to 100 μm. The process is carried out in a shielding gas atmosphere. ATO Lab is capable of atomizing several materials, including aluminum, titanium, stainless steel and precious metals. The machine is also easy to use, the company states, with a user-friendly software system and a touch screen. The user has control over several process parameters. ATO Lab’s advantages include its ability to atomize a wide range of materials at a relatively low production cost, with no restrictions on the minimum amount of powder being prepared. It’s a scalable system that imparts flexibility to the manufacturing process and allows easy access to material processing for small and medium-sized enterprises. 3D Lab began researching atomization three years ago. The company wanted to rapidly produce small quantities of feedstock for metal additive manufacturing research and process parameters selection. The team found the range of commercially available powders very limited and limiting, and the long realization time of smaller orders and high raw material costs made it impossible to implement a cost-effective solution using currently available atomisation methods. In addition to the finalization of the ATO Lab, 3D Lab also announced that the Polish venture capital company Altamira invested 6.6 million PLN ($1.8 million) to develop the atomizer manufacturing plant and to build a global distribution channel. 3D Lab also recently moved to a brand new facility in Warsaw. The first ATO Lab devices are expected to be shipped in the first quarter of 2019. Formnext will be taking place in Frankfurt, Germany from November 13th to November 16th. 3D Lab will be demonstrating the ATO Lab live for the first time; if you will be attending the show you can visit the company and see the atomizer in action in Hall 3.0 at Booth G-20. The post Thermwood Unveils Vertical Layer Printing For LSAM Machines appeared first on 3D Printing.